Epic fantasy isn’t an easy genre for a new writer to break into. There’s competition from the classics, penned by Oxford gentlemen and loved across generations, and then there are the new, heavy-as-a-brick tomes that fans wait breathlessly for, only to devour in one ecstatic sitting. The Chippewa Valley now has its own epic fantasy author to call our own and if she’s feeling the competition, she hasn’t let it dampen her doggedness. 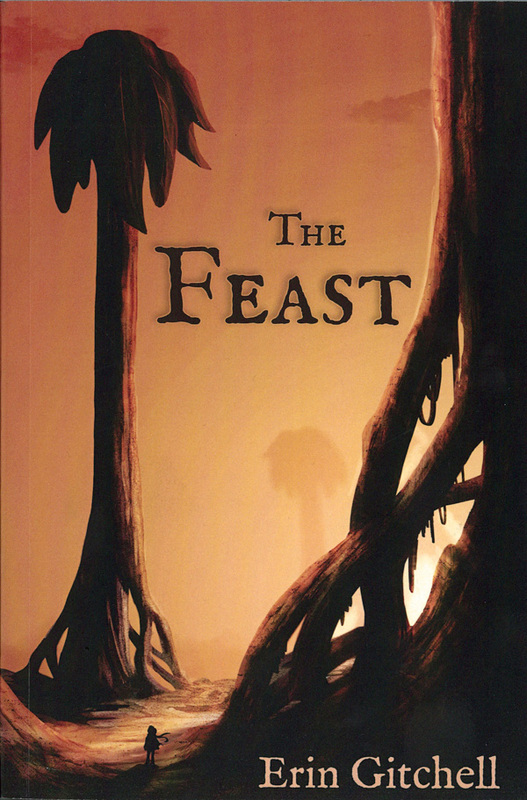 Erin Gitchell has just published her first book, The Feast, with the help of a Kickstarter campaign, and is already at work on the sequel. “I actually borrowed the idea from my husband, (an independent game designer),” she said. Gitchell had been feeling the pressure of trying to write while working and having a family, so with the support of her friends and family she decided to launch a Kickstarter campaign last year to raise enough money to take six weeks from her job at the Menomonie Public Library and write full time. It’s rare to find such a supportive work environment, but Gitchell’s director and co-workers were excited for her to take the time to finish her novel. Before the Kickstarter campaign, Gitchell struggled to carve out writing time between work and the responsibility of family. The idea for The Feast originated when Gitchell was doing homework in grad school. She felt compelled to pen a scene about a girl who had been turned into a horse by a sorcerer who had just murdered her family. “The whole story stemmed from that scene,” she said. The idea wouldn’t leave her, so Gitchell spent the next two and a half years chipping away at it when she could, reaching 50,000 words and finally finishing it in those precious six weeks. What’s perhaps not as fun are the nuts and bolts of self-publishing. To learn more about Erin Gitchell’s work and to purchase a copy of The Feast, visit eringitchell.com.